It’s the last week now, so click this post to see what’s happening- it’s jam packed! It’s the Year R Forest School parent picnic today! 12:30-1:10pm. 1:30 is the Year 6 production’s dress rehersal. 7pm is the Year 6 Production for parents in the school hall. 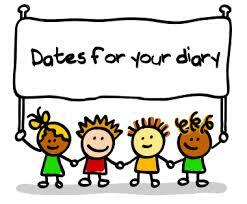 Year R, 1, and 2 Fun Day, please come to school in your P.E. kit, and bring wellies! 3:30-5:45pm is the optional parent-teacher consultations. Please let the office know if you’re attending. First day of Term 1 2018-2019!